I’ve been sitting on many of these tasting notes for a short while, so I appreciate that most of the whiskies here are gone; or more accurately, gone into whisky collector hell, soon to reappear on an auction site near you. My point being, sometimes we get sent quite a lot of samples at Malt. We do try to buy most of what we review here, as I think there is – to some tiny, tiny degree, no matter how hard we like to pretend otherwise – a minor degree of bias whenever you get sent stuff. It’s subliminal, perhaps. For me, the bias tends to come to the point of this: I should review what gets sent in, at the very least. I have given a kicking to truly awful whiskies sent in this way, and even a kicking to some ridiculously expensive ones, but I like to think that the kindness comes from giving airtime. We have quite the hefty audience on Malt – up to 50,000 real people each month, and growing – which is why we get sent some fairly exotic species of whisky from time to time. It’s exposure; I get that, you get that. Yet sometimes, when the samples come in, it’s difficult to really get an exciting enough ranty hook. I’ll let you into a bit of a secret: most of the time, we don’t really write whisky reviews on Malt. Unlike many so-called drinks sites, this isn’t a PR-outlet for marketing materials. There’s no value in that – to you, or to us, or drinks culture. Yes, you’ll get tasting notes, of course. But we like to think the whisky is our excuse to spotlight something we feel needs airing. You may call that a rant. (Personally, the past two years my themes have been broadly two-fold: that much of the wood is knackered in the Scotch whisky industry, and it shows; and that – staggeringly, to me – hardly anyone talks about barley, the thing from which whisky is made.) Perhaps we just want to relate a nice story or talk about something else entirely. The thing is, it’s rarely about the whisky we get sent directly. Making a point is a lot easier to do when you buy the whisky as, more often than not, you make a purchase for a reason. 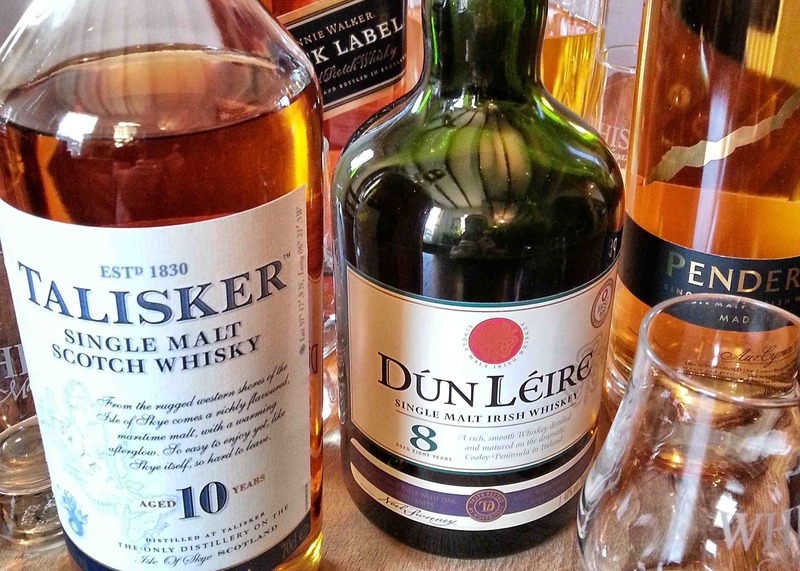 You could buy any particular bottle of whisky, but when you hand over your hard-earned cash, you’re exploring some facet of your own internal whisky culture. Scratching some whisky-scented itch. But when I get sent a sample, it sits on my table staring at me; they quite often gang up. And sure, I could just dump a load of tasting notes on you, but I don’t think that’s why people keep coming back here. We have something that’s rare in this day and age: an opinion. No two sides to the story (often, there isn’t). Whether you think we’re utter douchebags, or really quite interesting people, we at least have something to say. 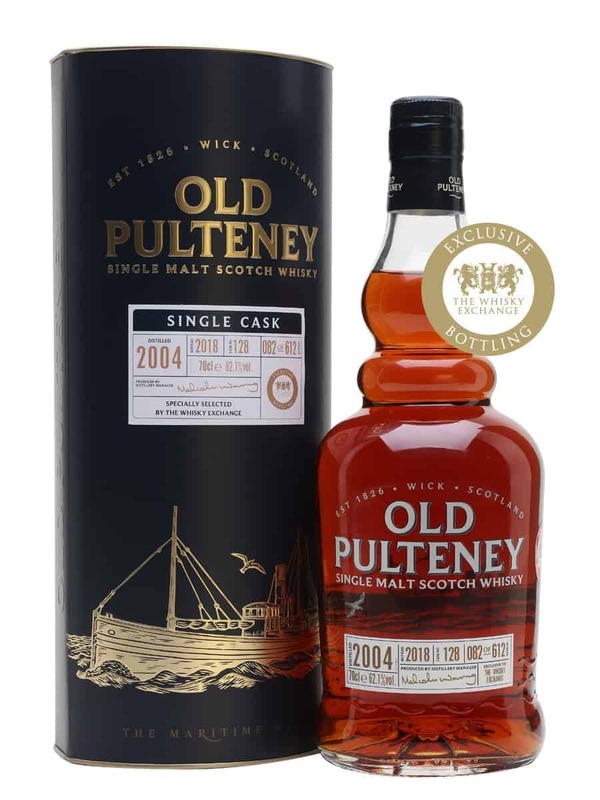 So when Billy at The Whisky Exchange pinged an email telling me I could expect the latest release from Old Pulteney as a sample, I thought, gosh, I’ve not even reviewed the last lot, which were all special releases through The Whisky Exchange. So my hook this time, if indeed you could call it a hook, is merely explaining why these things can stack up, over the months, and possibly to apologise for waiting so long to give most of these whiskies to get a bit of airtime. Does that count as an introduction? Meh. On with the whiskies. On the nose: thick Port-like nose, with blackberries and demerara sugar. Tiramisu. Damsons, figs, raisins, really at the darker, richer end of the dried fruit spectrum. Dark chocolate and coffee. Maple syrup. The sweetness becomes more apparent with water and time – which also, in turns, brings out lighter dried apricots. In the mouth: massively thick texture with red fruits galore. Tart, too, dry yet cloying, in a properly mouth-coating manner. Blackcurrants. Port again. Elderberry. It’s full-on, with warming ginger and coriander. Again, echoes much of the nose. Water unpacks it quite a lot and lets those simple layers become more defined. Some briny notes in the background, with golden syrup. Just a little acidity to knock the finish off balance. A slightly blunt instrument, but it’s got some very well expressed flavours. This is Irish single malt whisky bottled at 51.3% ABV. Colour: yellow gold. We’re probably talking second or third-fill casks. On the nose: an intense vanilla hit. Massive, in fact. Creamy buttermilk notes with golden syrup, lemon curd. Tangerines. Still lemonade. Slightly solventy notes (wafts of nail varnish remover) with orange marmalade. Grapefruit juice. In the mouth: again, massive amounts of vanilla and citrus notes. Seriously. Lime marmalade, a little ginger, lemongrass, with coriander warmth on the finish. Returns to golden syrup and custard. Parma violets, and some sourness that just balances out that intense vanilla, syrupy sweetness. A little two-dimensional, but lovely flavours – it certainly goes to town on those two dimensions. Probably not worth £260. 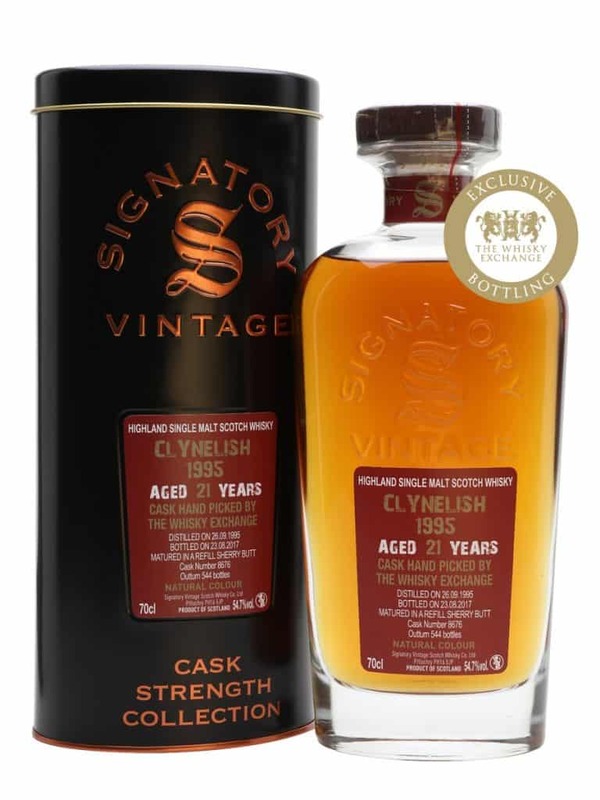 Refill American hogshead, bottled at 53.2% ABV and still available at £150. Colour: pale gold. Very much a refill thing. On the nose: ooh that’s a lovely set of aromas. Quite complex for a single cask. Lovely mix of brine, just a little peatiness, citrus and vanilla. Vegetative, mossy, plenty of mineral notes. A little mixed peel, dried apricots and just this lovely robustness to it all. In the mouth: oily, gorgeous minerality, with black tea, pouring honey; the sweetness is less so than on the nose, and there’s a nice sour undercurrent to it, with fresh melons, grapefruits. Not so much smokey here – rather it has some Springbank-like industrial, bass note. 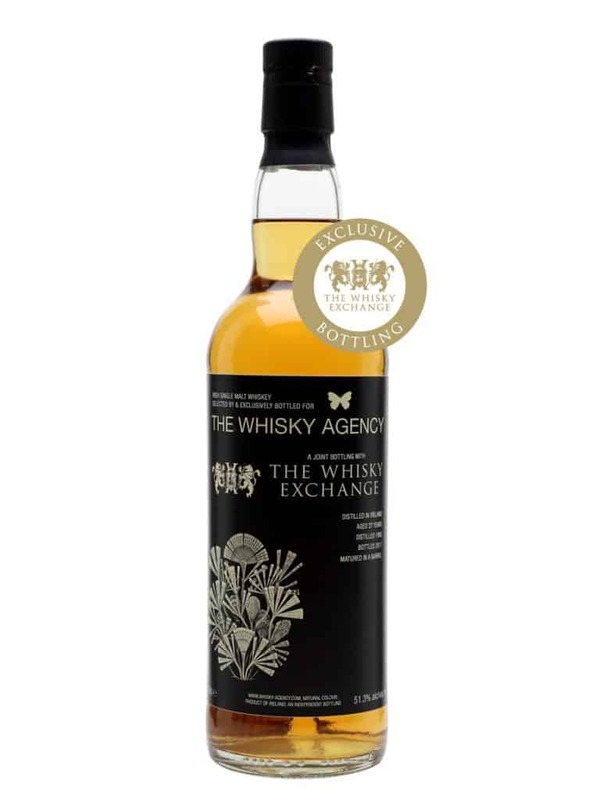 I’ll be honest, still feels a little on the steep side price-wise, but it’s a lovely whisky. On the nose: lovely spirit. Dense, rich notes, with a lovely industrial core. Heather honey, raisins. Leather and tobacco ash. Rather feinty with a few plastic notes there. Blackberry jam, prunes and cinnamon. With time it becomes slightly more floral. In the mouth: heady stuff indeed, with that heather honey and raisin quality showing again. A little wholemeal toast with hedgerow jam. Needs time to really open up and bring those dried fruits in a more delightful manner. Cloves, cola and a little bit too much oakiness at the death. We live in the refill age. Refill, second-fill, whatever. But the age of active maturation in Scotch whisky seems to have well and truly departed the independent sector. 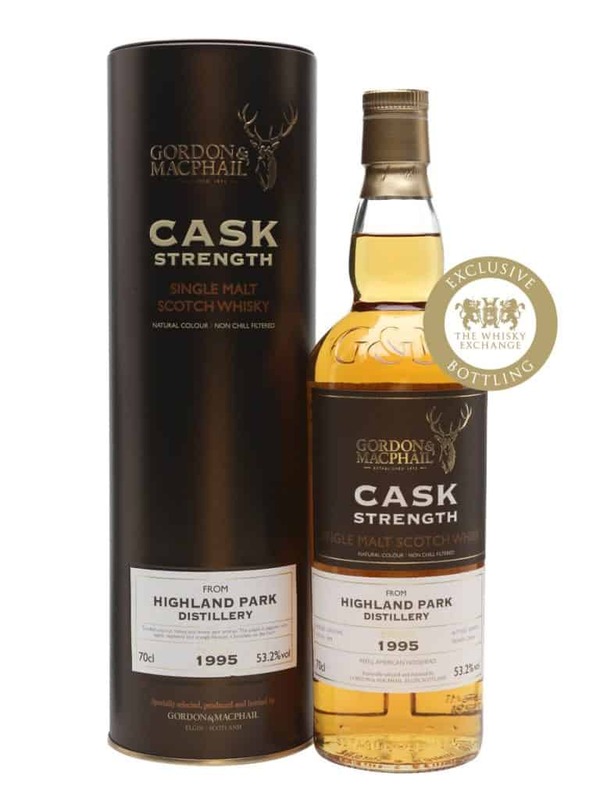 These whiskies need to be of a decent age (which they are) for flavours to really make these whiskies a hoot, which they mostly are to be fair, but that high age statement also means the price is quite high for each of them. In short, you’re going to have to put your hands in your pockets and stump up the cash for good flavour these days. It’s just the age we live in. Anyway, well done The Whisky Exchange. Good selections all-round.